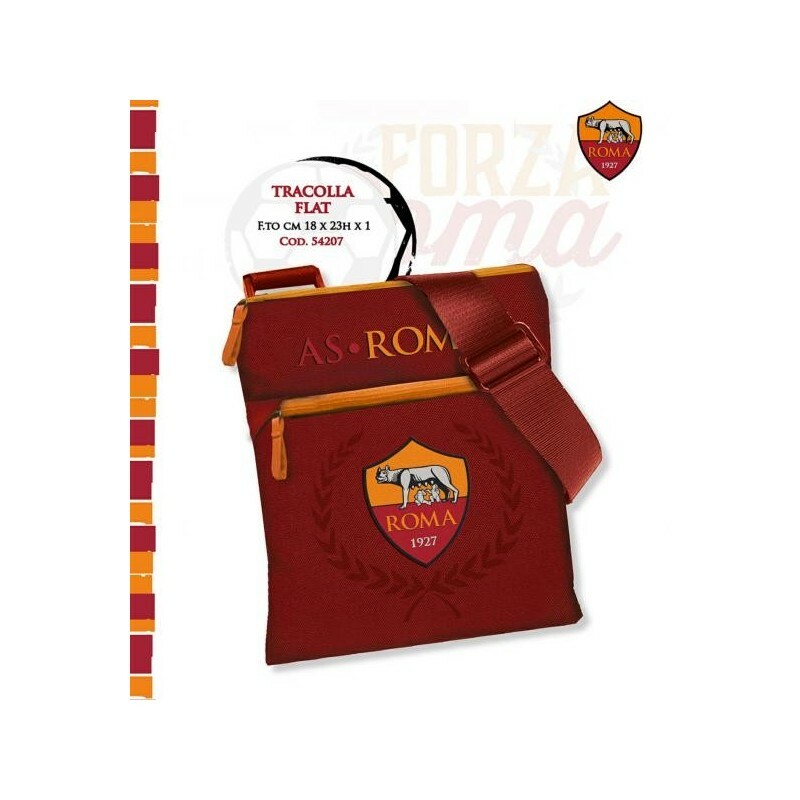 AS Roma Strap Flat product official. Size cm 18x23x1. Ideal for the leisure or for the stadium, you can take it with YOU. 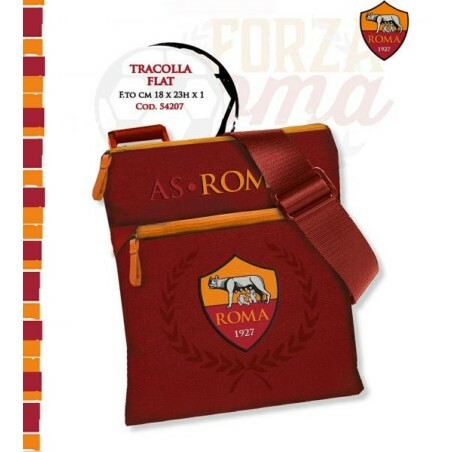 Gift Idea for the roma fans.